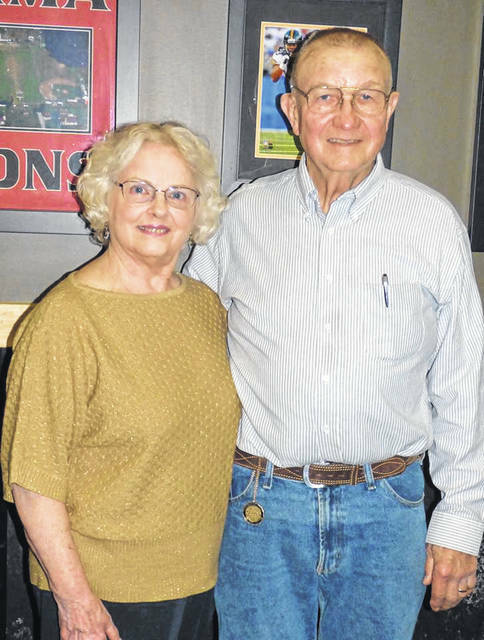 GALLIPOLIS — Friends and family are cordially invited to join Pastor John E. and Carol (Blum) Jackson to celebrate their 50th wedding anniversary at a reception hosted by their children, 2 to 4 p.m. Saturday, July 14th at New Life Lutheran Church. The Jacksons were wed April 19, 1968 at the Evangelical Lutheran Seminary in Columbus by Dr. Ralph Doermann. Pastor Jackson is the son of the late Milton and Alma (Jacob) Jackson. He is a graduate of Winters (Texas) High School, Texas A&M University and Trinity Lutheran Seminary in Columbus. He is a retired Lutheran minister, a farmer, and a retired colonel in the U.S. Army Reserves. Mrs. Jackson is the daughter of the late Lloyd and Garnet (Cook) Blum. She is a graduate of West High School in Columbus and Ohio State University. She is a retired physical therapist. The Jacksons have two sons, John and David (Lyndsay), both of Gallipolis; two daughters, Annette Holliday of Gallipolis and Amy (Kevin) Pinson of Zanesville. They also have 12 grandchildren: John, James and Sarah Jackson of Gallipolis; Matthew Jackson of Pomeroy; Bryan and Austin Jackson of Gallipolis; Alexander and Caroline Pinson of Zanesville; Stacy Robinson of Gallipolis; Felicia Robinson of Lexington, Ky; and Elijah and Isaac Holliday of Gallipolis.